Remember the guy who rents his afro for advertising? He is a big success and has already created a serious clientele. 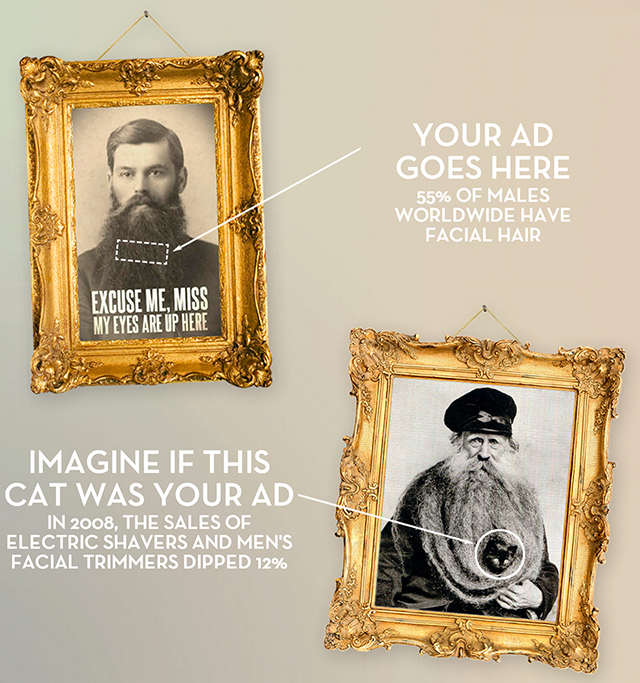 The world of advertising evolves much faster than the real world. The evolution is mandatory. Any agency, local or multinational, has to be highly creative and non-stop in generating ideas in order to survive in this highly competitive industry. There are hundreds of channels on electronic media, thousands of publications and countless Out Of Home (OOH) sites around the world for brands to advertise. Once again, the need to be unique is present. The more creative the advertising medium is, the more are the chances for the advertised brand to be registered. If you think the afro guy was the only breakthrough, make way for the men with beards. 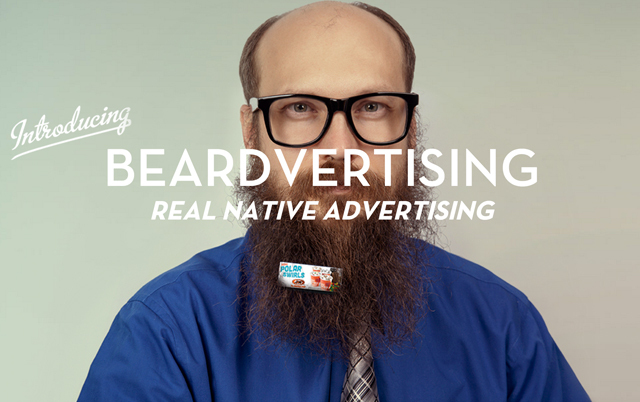 “Beardvertising” is the new and extremely creative form of advertising. This head turning idea belongs to Cornett-IMS, a Kentucky based advertising agency. Being a model no longer requires size zero physiques, six pack abs and sharp looks. 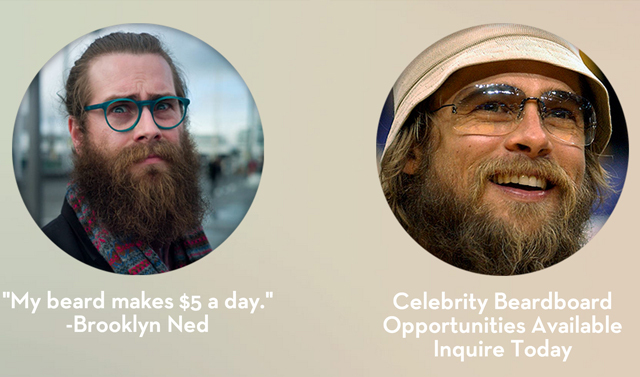 If you have a fuzzy beard, you are highly likely to be hired as a medium for “Beardvertising”! An idea that is highly creative needs some time to be digested by the masses. Moreover, brands that have the budgets to advertise must embrace these ideas open-mindedly. The “Beardvertising” is still in the infancy stage; however, interest shown by some clients of Cornett-IMS and a bulk of emails for potential models (men with fuzzy beards) will be a vital life line for this extremely out-of-the-box idea to survive and thrive. 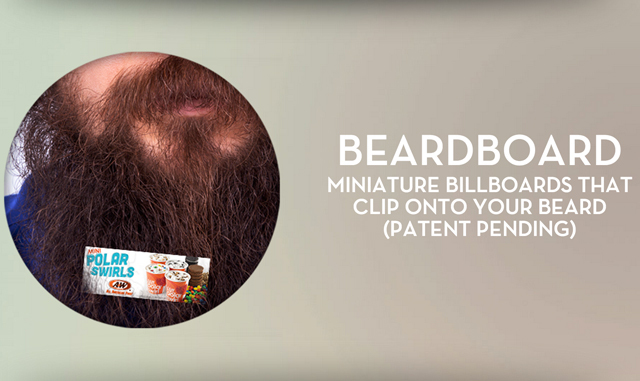 Miniature billboards can be easily clipped on to the beards, and one thing is for sure; the guy supporting this medium will turn heads as much as a stunningly beautiful model. If patented, “Beardvertising” will not only be a highly unique advertising medium, but will also make the guys with big beards more proud of their facial hair, as they will become money making hair.